Published on Monday, July 1, 2013. 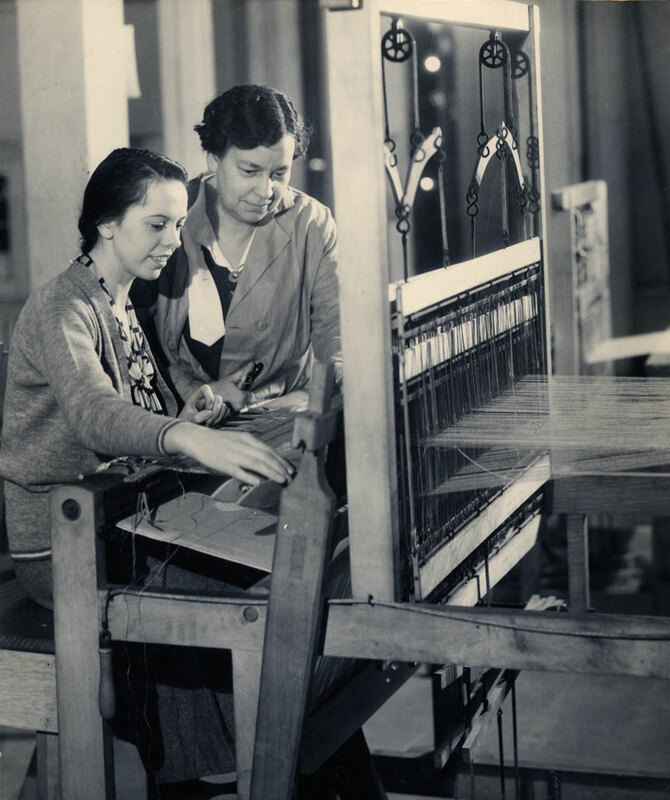 Class in tapestry weaving, circa 1930s. 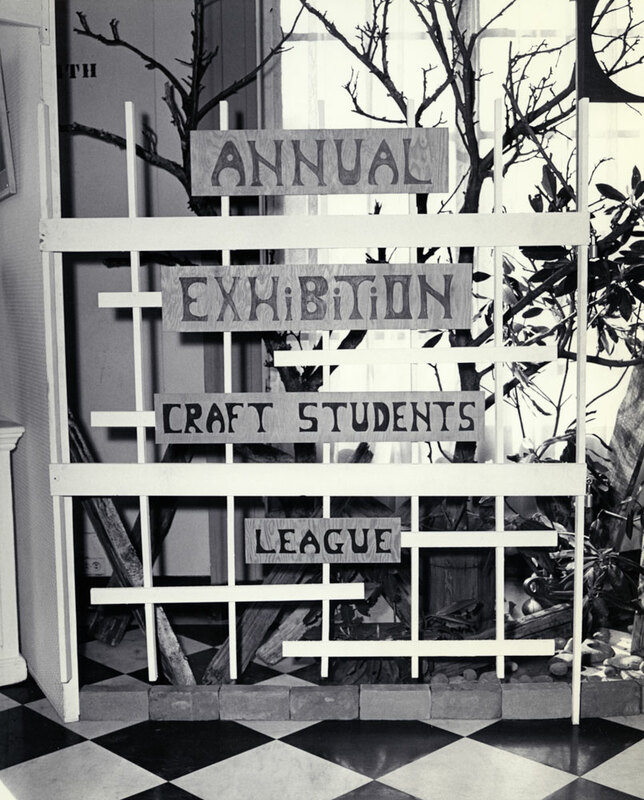 Over the course of the summer I will be processing the archives of the Craft Students League (CSL). Having worked with the collection for two weeks now, I am excited to share a little of its history. 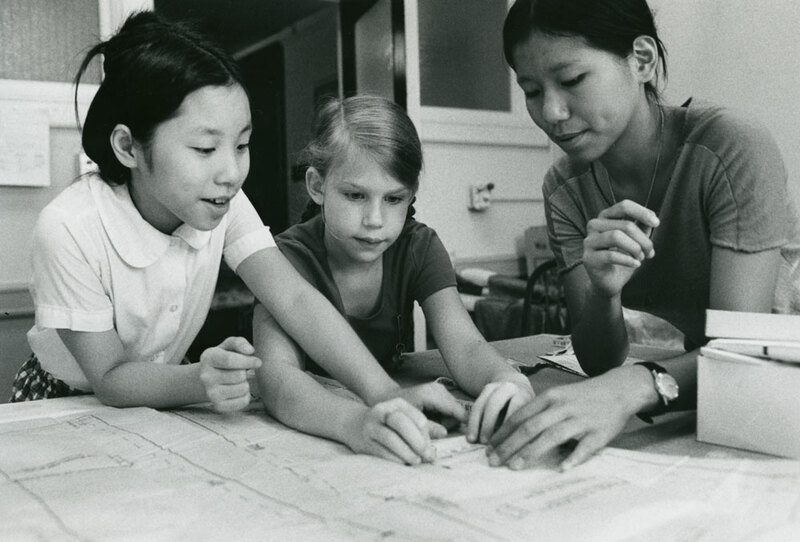 From 1932 to 2005, the CSL of the YWCA of the city of New York provided a home for thousands of students looking for a place to learn crafts from experienced instructors and to grow creatively regardless of background. People of all ages, creeds, races, cultures, and occupations were brought together by the desire to work with their hands in the fields of bookbinding, ceramics, metalsmithing, woodworking, and weaving, among other crafts. 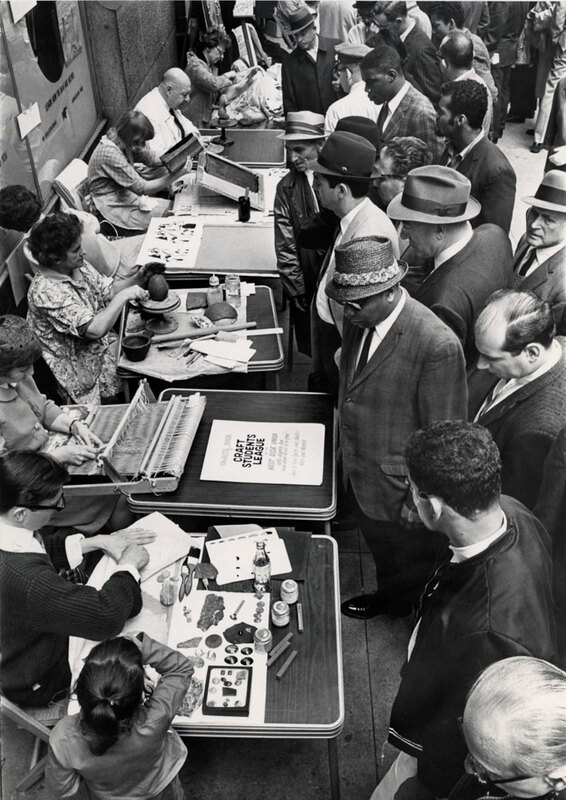 Throughout its history, the CSL reached out to people who needed a creative outlet, including victims of the Great Depression in the 1930s, returning WWII veterans, young atomic bomb victims from Hiroshima in the 1940s, and teen mothers in the 1990s. Whatever our circumstances or experiences in these times of depression and disasters, we have come to define freedom or leisure in a different and deeper sense. Of course the individual must have a job which provides food, a roof and clothing but there human requisites do not end. We must be trained for jobs but also we must be educated for living and what we do with our leisure time is psychologically an important part of living. The ratio of this psych. importance increases as the job grows more mechanical or more nerve wearing. As ideas of adult education are developing many channels for leisure-time-occupations have been opened and the Metro YWCA has set forth on an experiment in one small corner of this field, viz. The Students Craft League [sic]. Sadly, the CSL was forced to close in 2005 when the YWCA headquarters moved to a smaller building that could no longer provide accommodation for the organization. 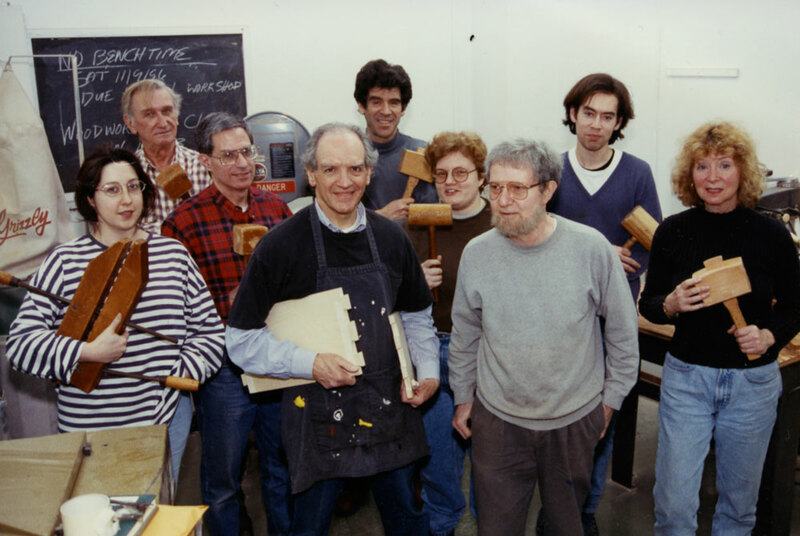 In order to preserve the history of the CSL, the American Craft Council Library has taken in its records and is in the process of making them available to the public. We invite former students of the CSL to share their stories with us with the hopes that we will be able to pass on this knowledge to future researchers. Teresa Tjepkes is an MLIS student working on her practicum at the American Craft Council. 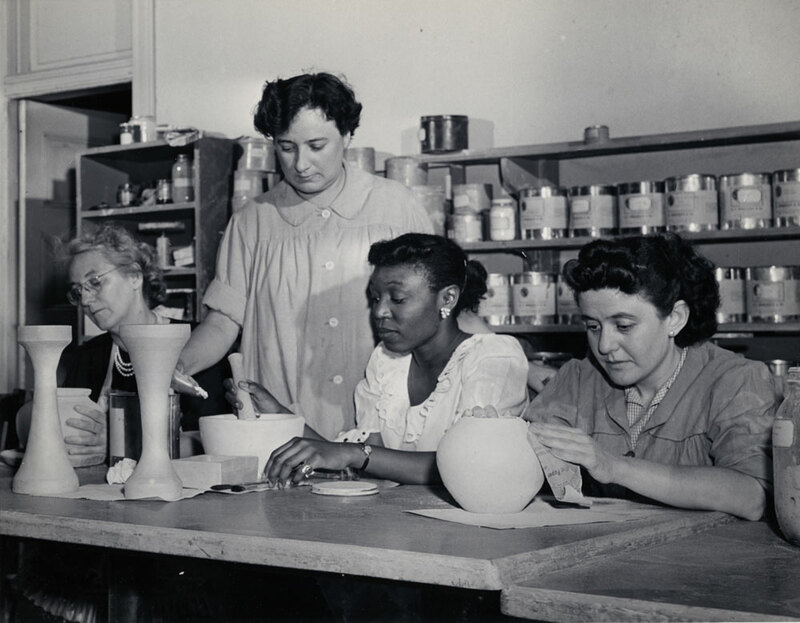 Pottery class, circa late 1940s. Standing: Director Madeline Douet. Circa 1950s. 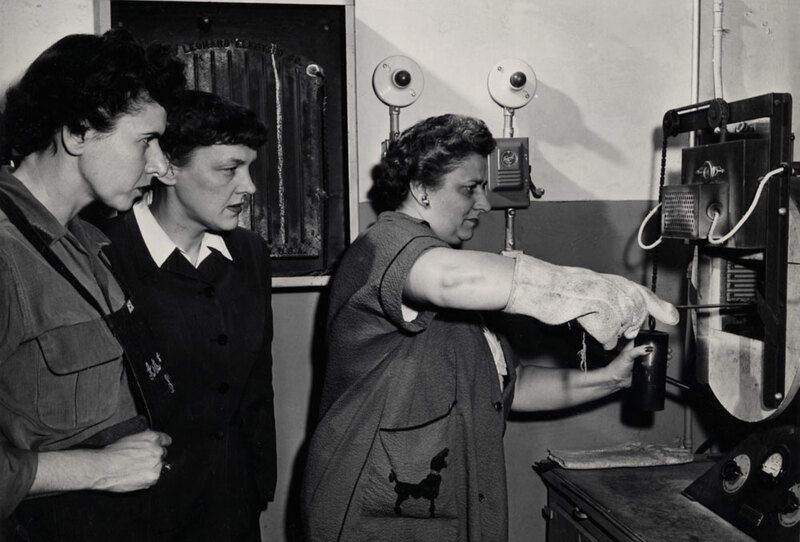 Left to right: Miss Saradell Ard, Ft. Jay; Miss Mildred Cribby, First Army; Mrs Constance Newitts, Y.W.C.A. Times Square outdoor show, 1963.